Audiffex has announced the release of STA Effects Bundle version 1.5, a simulation of summing tube amplifier FX for Windows and Mac. 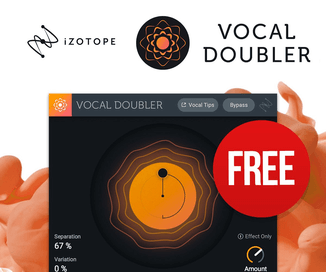 We’ve just released a collection of plugins that combine classic effects and Summing Tube Amplifier (STA) which mixes the wet and dry signals as well as it adds a nonlinear distortion resulting in more vintage sound. 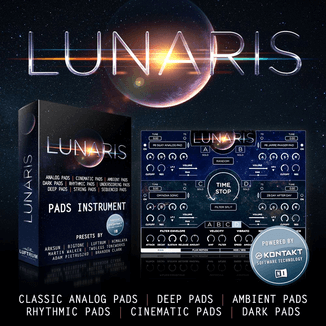 Collection contains Chorus, Flanger, Phaser, Enhancer and Preamp. Some of the plug-ins were published before as single items (USD 19 each), but now they are joined in a bundle of five effects (USD 49). 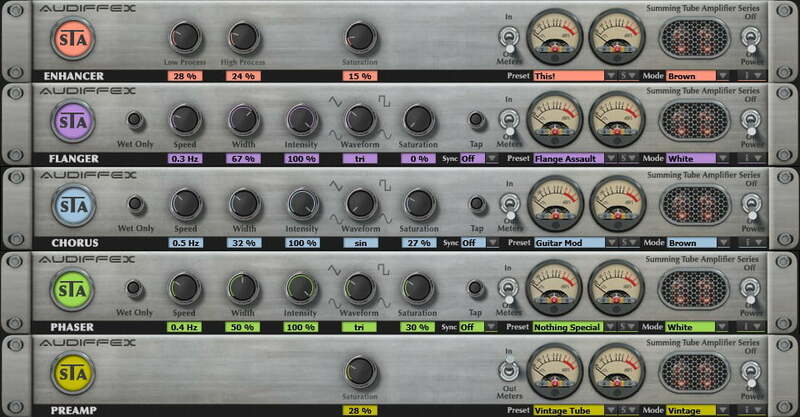 In version 1.5 plugins gained improved CPU efficiency, better sound and new GUI. The STA Effects Bundle (VST/AU/AAX) is available for $49 USD.